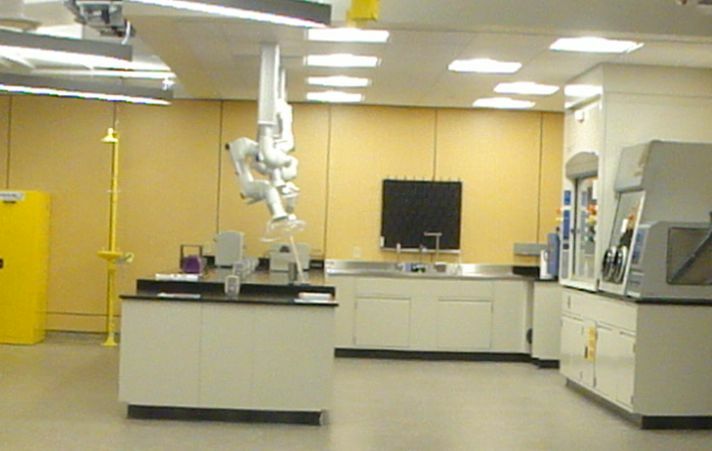 The AMPrint Center's main home is a 3,200 square foot laboratory space on top of the campus' Institute Hall Building. 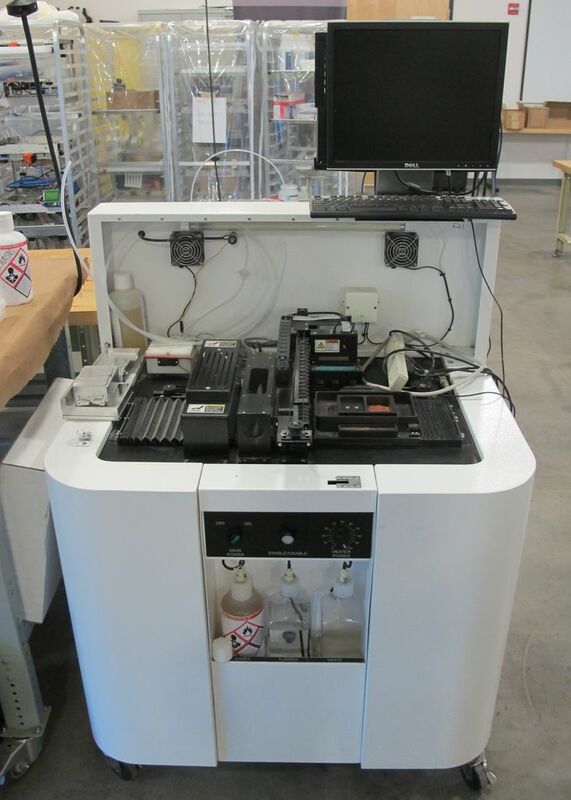 configured with dual pneumatic atomizers for functionally graded deposition of viscous inks up to 1000 cP. 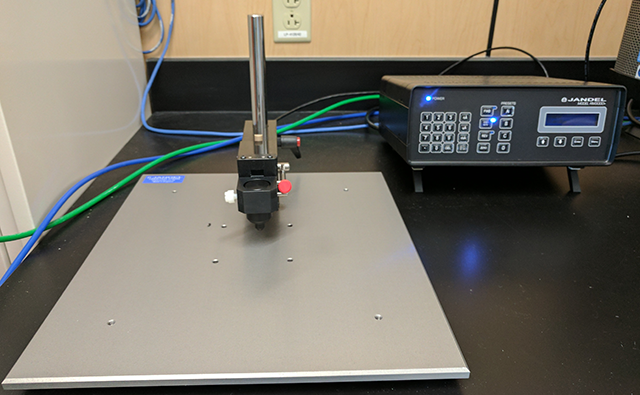 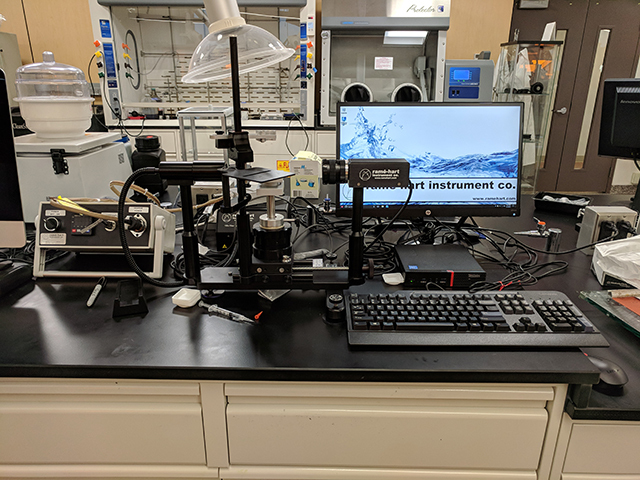 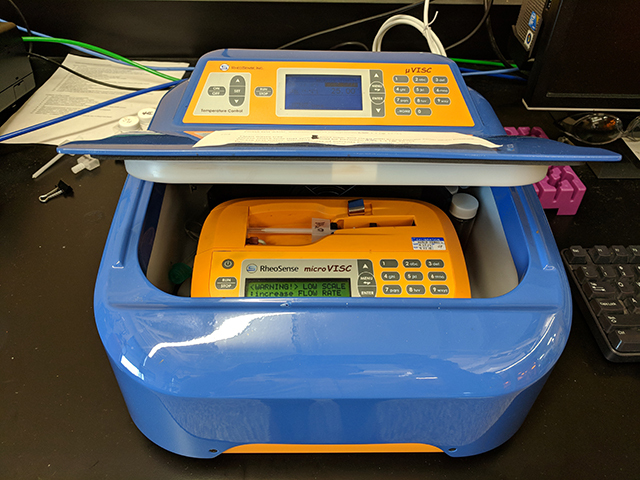 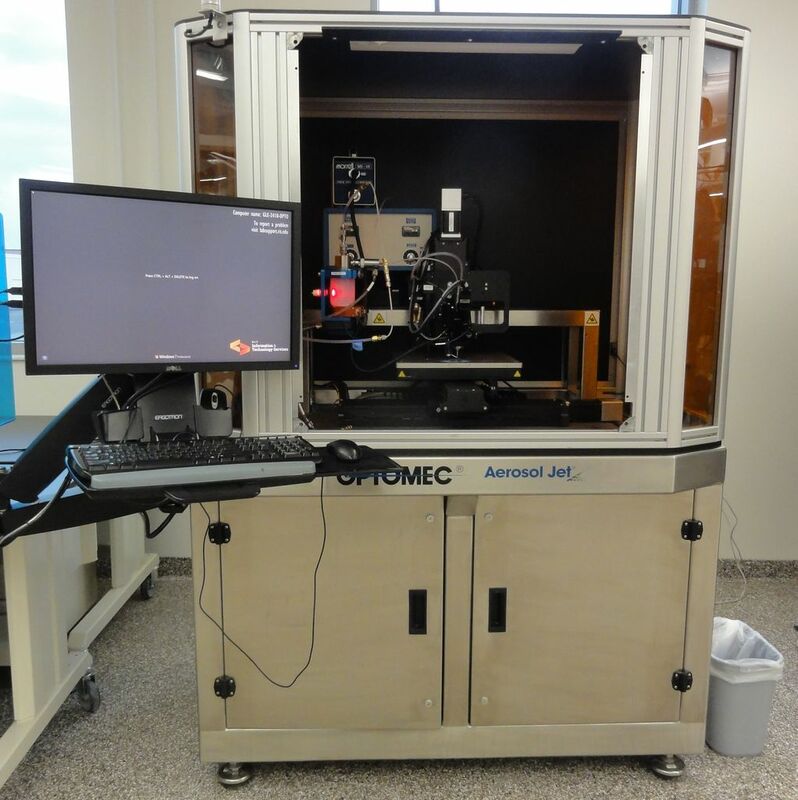 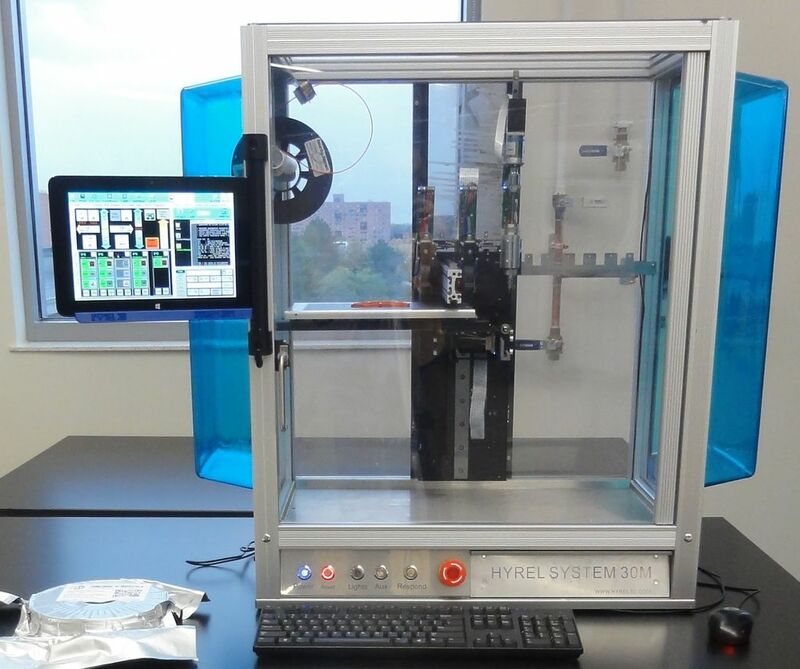 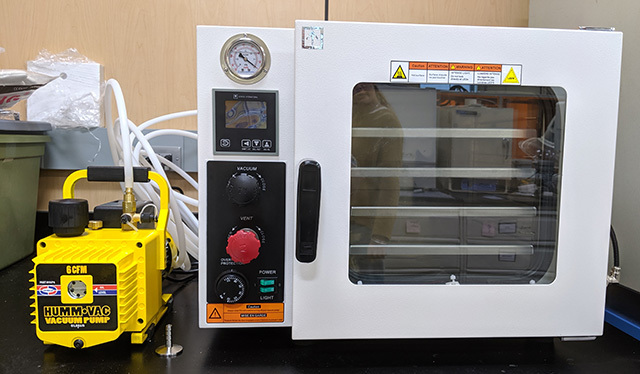 microdispensing system configured with dual smart pumps, the nFD thermoplastic extruder, and a 3-material micromixing head for functionally graded compositions. 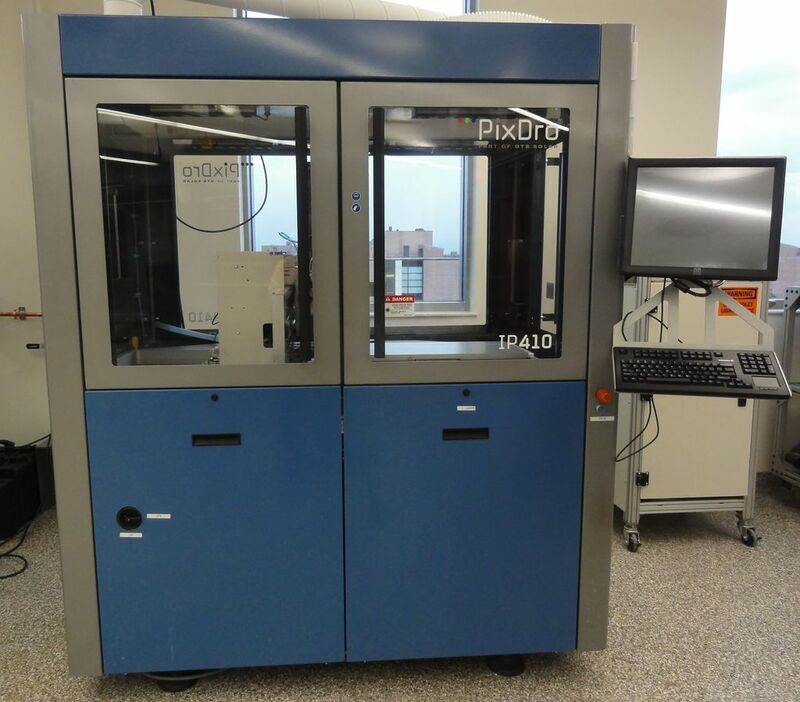 high power pulsed photonic curing/sintering system capable of processing printed metal and even ceramic inks on low temperature polymer or paper substrate materials. 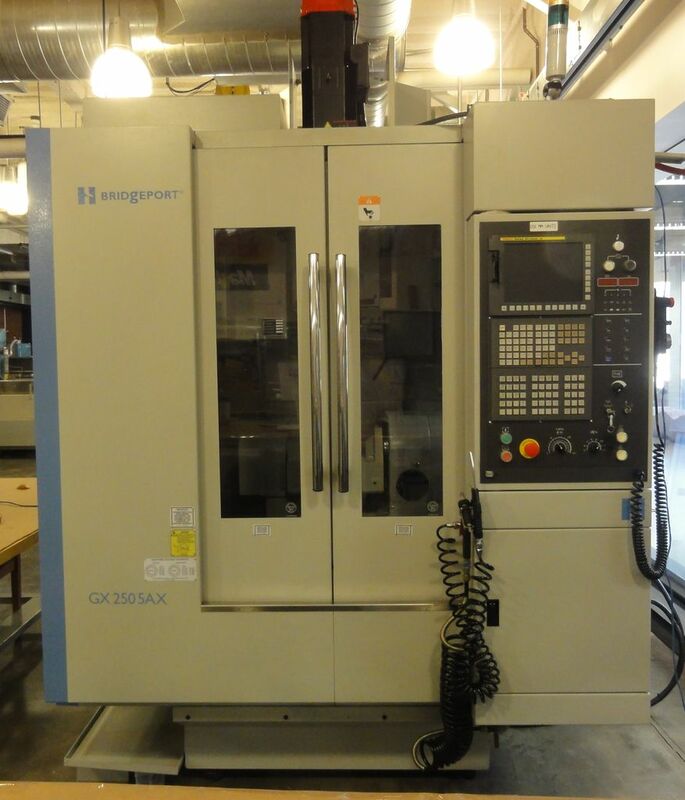 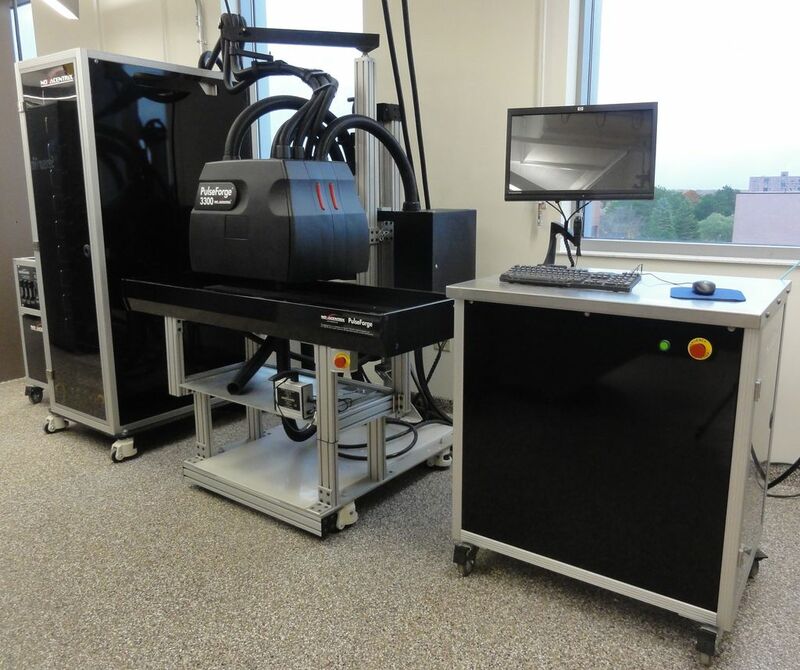 a 5-axis Hardinge CNC machine tool equipped with a laser cladding head that fits in the CNC machine's tool changer. 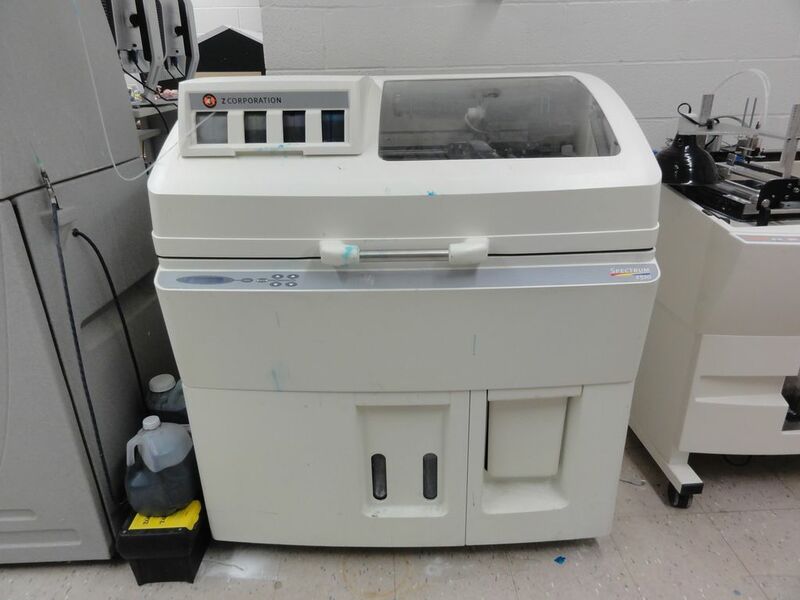 Dual powder feeders and an IPG QCW laser allow this machine to alternately deposit and then finish machine metal materials, including functionally graded compositions. 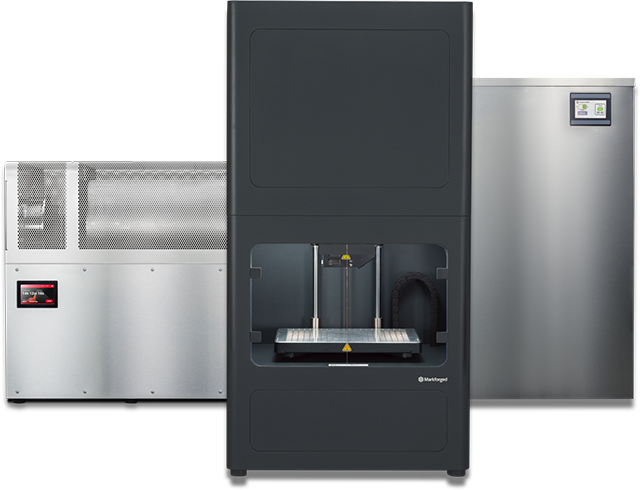 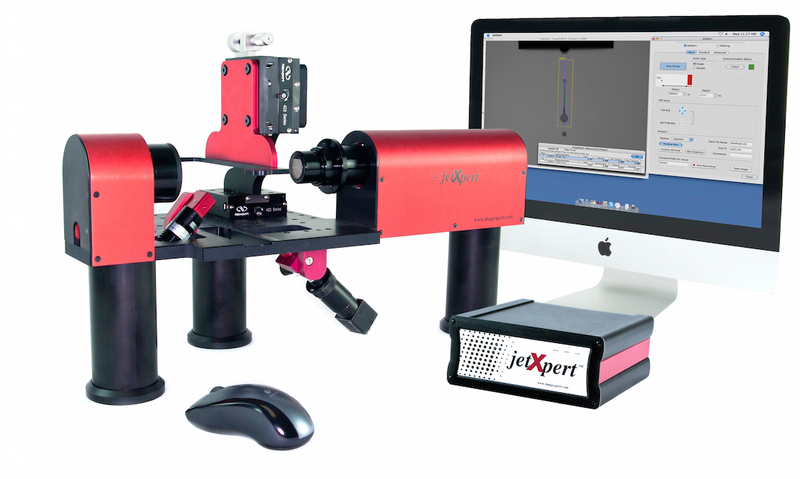 binder jet 3D printer that produces metal or ceramic parts. 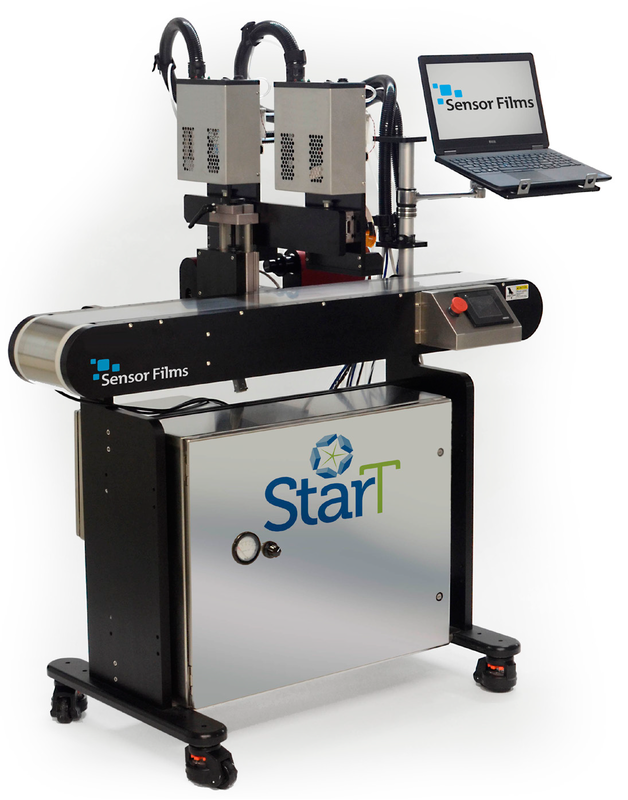 capable of printing full color components in thousands of composite digital material combinations. 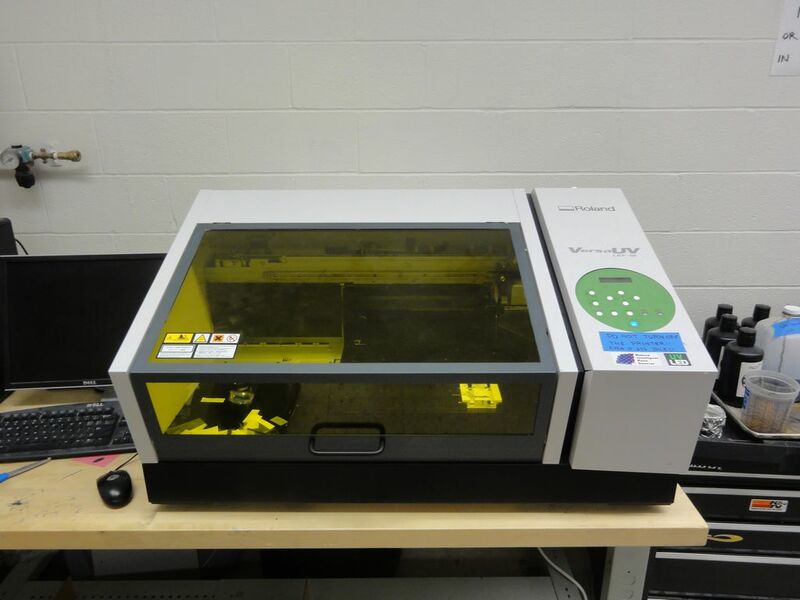 Licensed to run all available materials including Ultem, Nylon 12, Polycarbonate, and ABS. 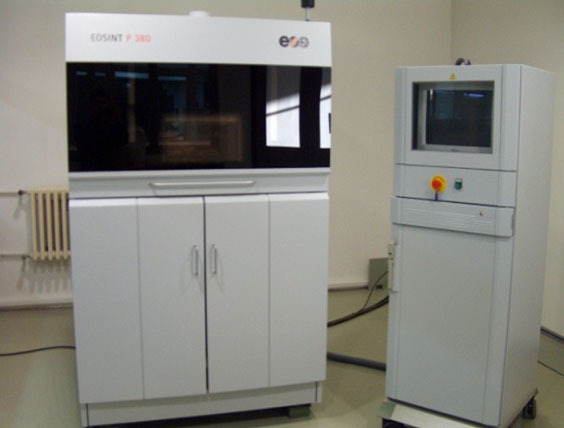 Selective Laser Sintering machine for plastics. 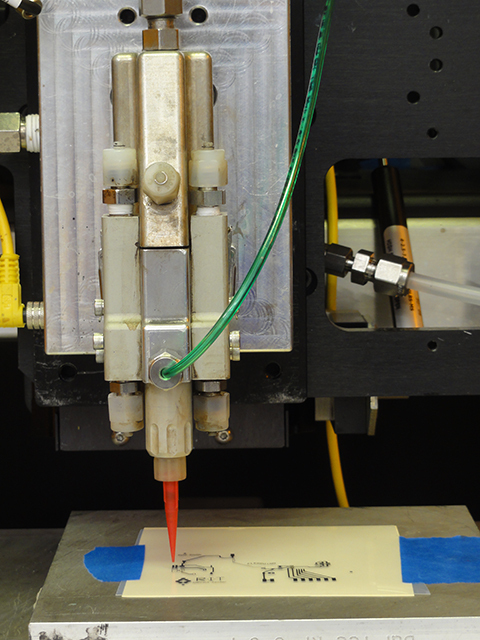 Fused Deposition Modeling with ABS plastic. 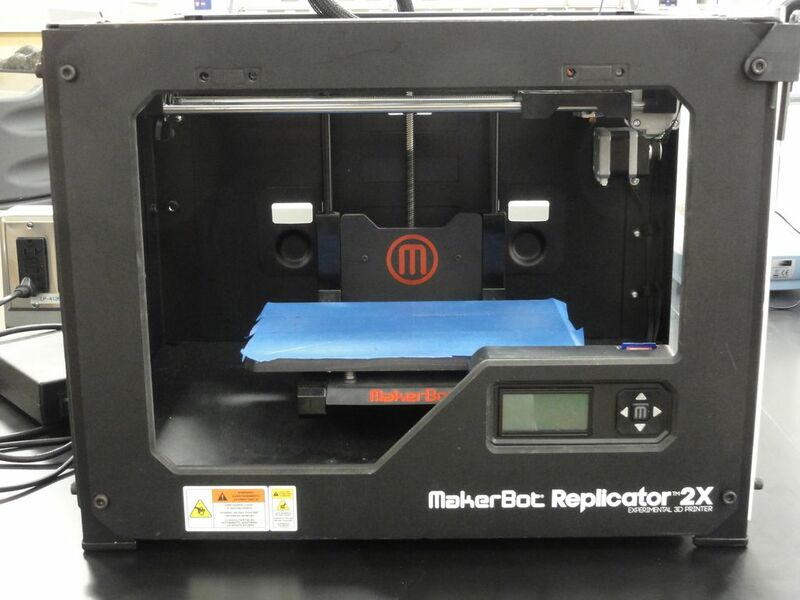 dozens of MakerBot and similar RepRap 3D printers available for students to use in "Evil Mad Scientist" mode. 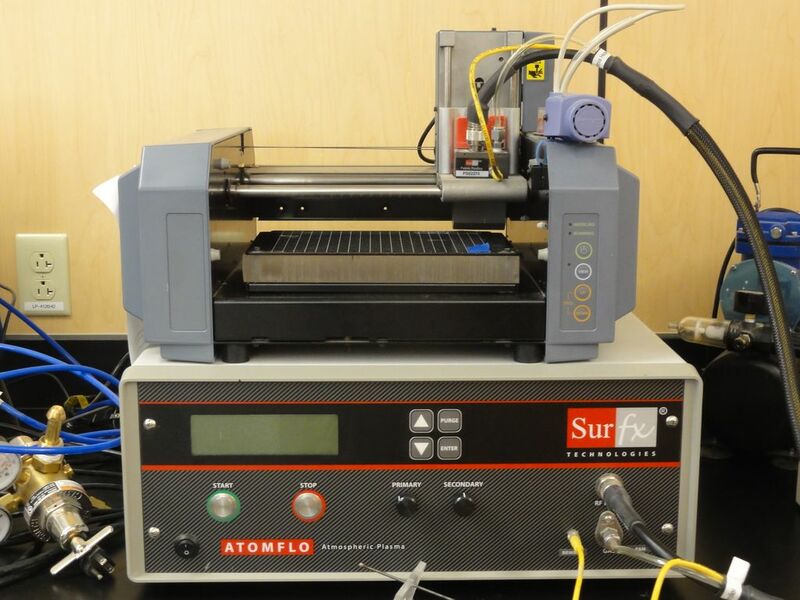 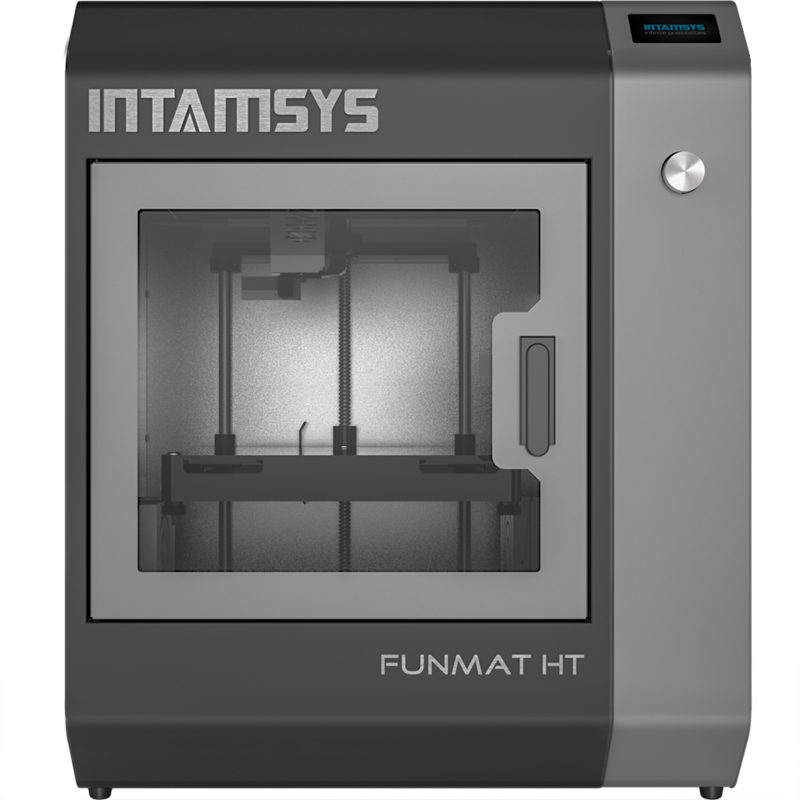 High temperature printer capable of printing high temperature materials and composites. 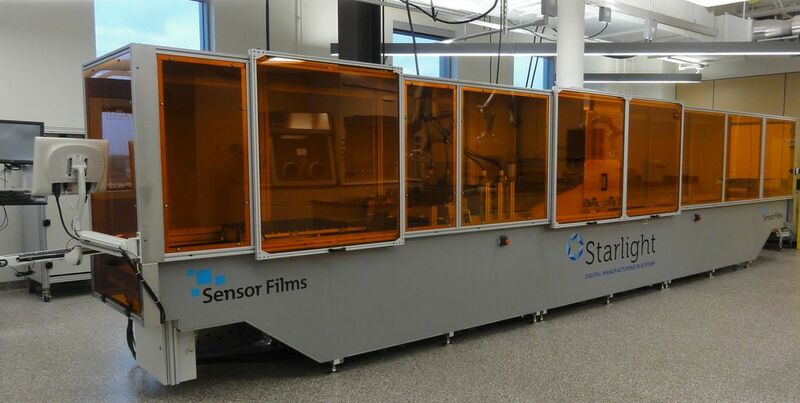 capable of producing composite parts with continuously reinforced carbon, fiberglass, or Kevlar fiber. 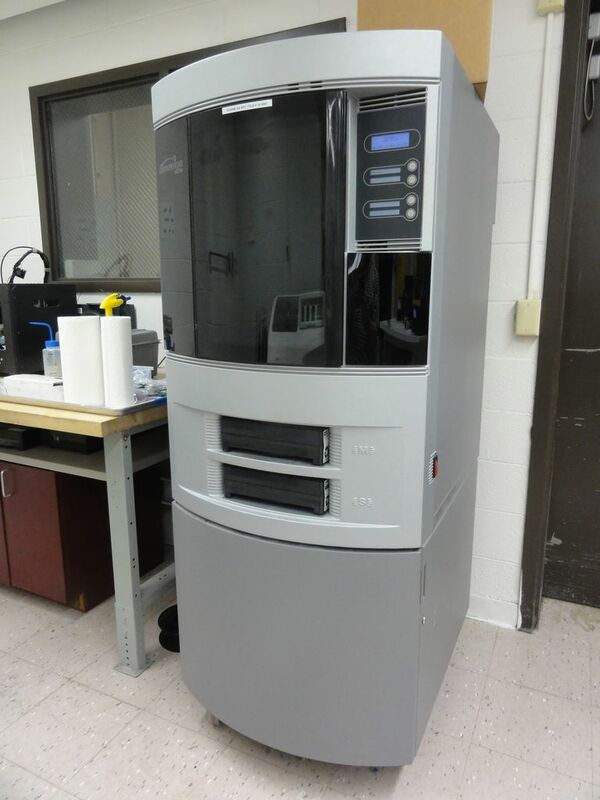 full color binder jet 3D printer. 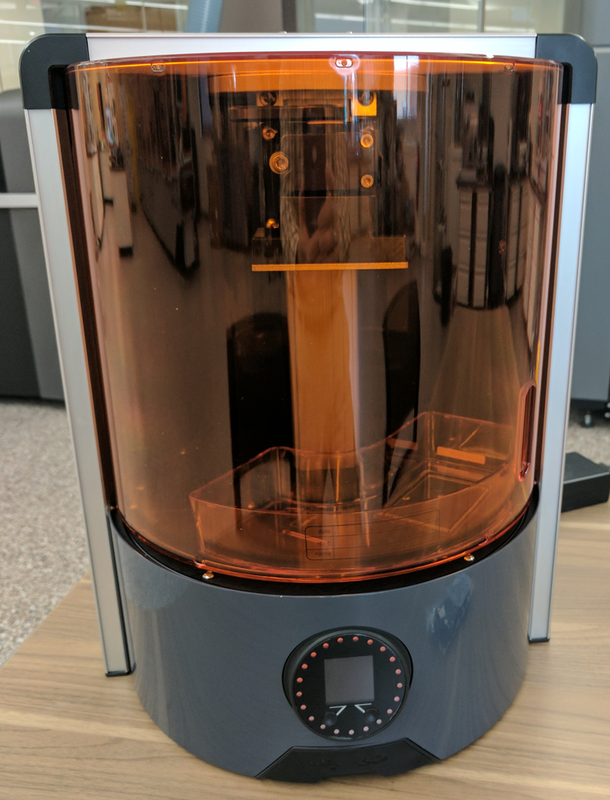 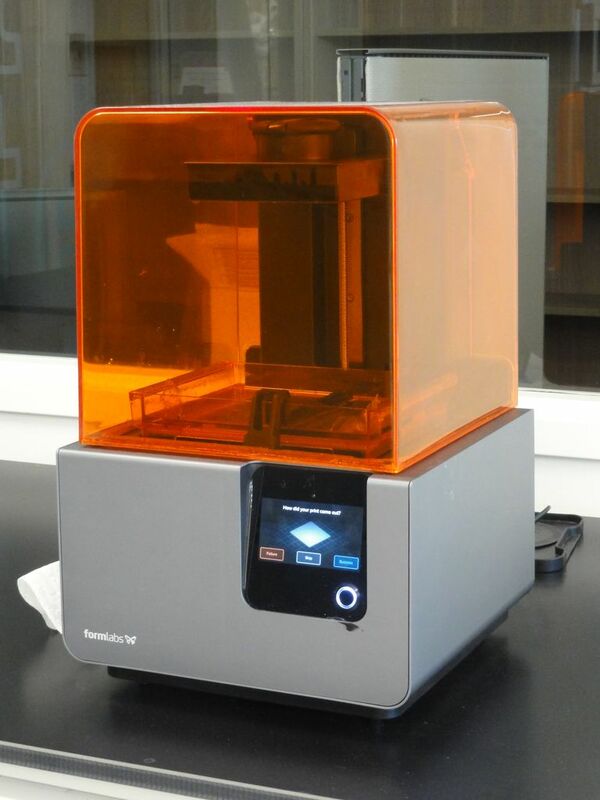 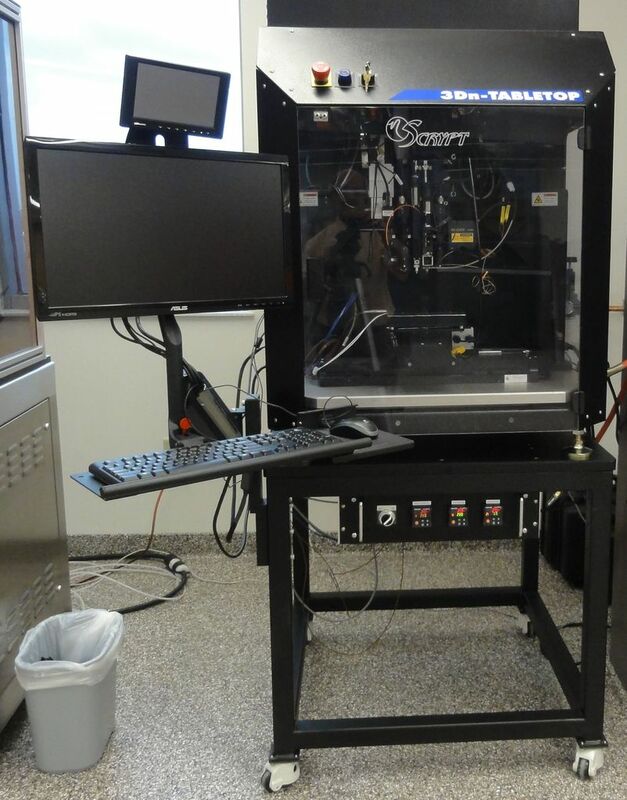 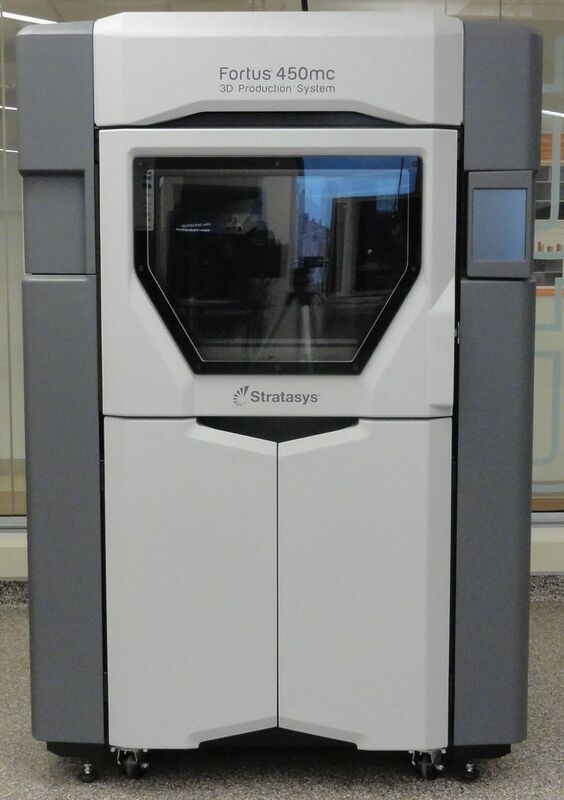 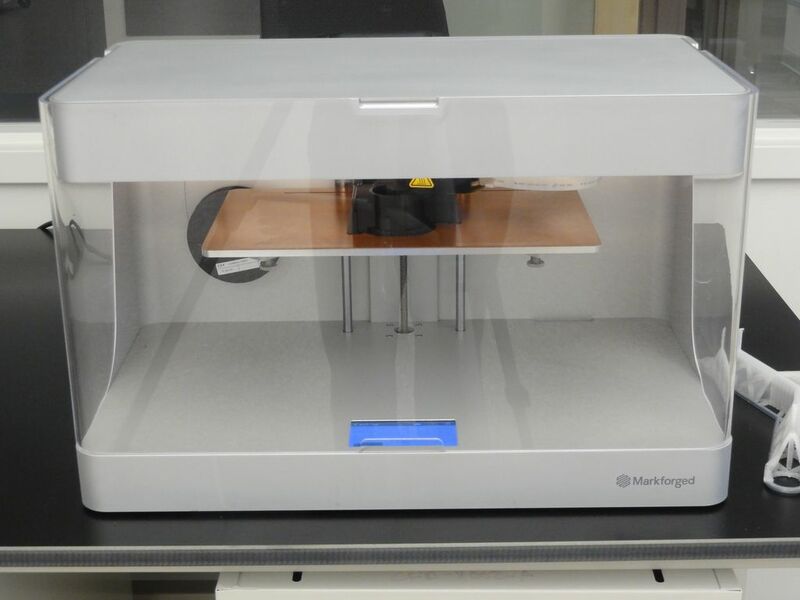 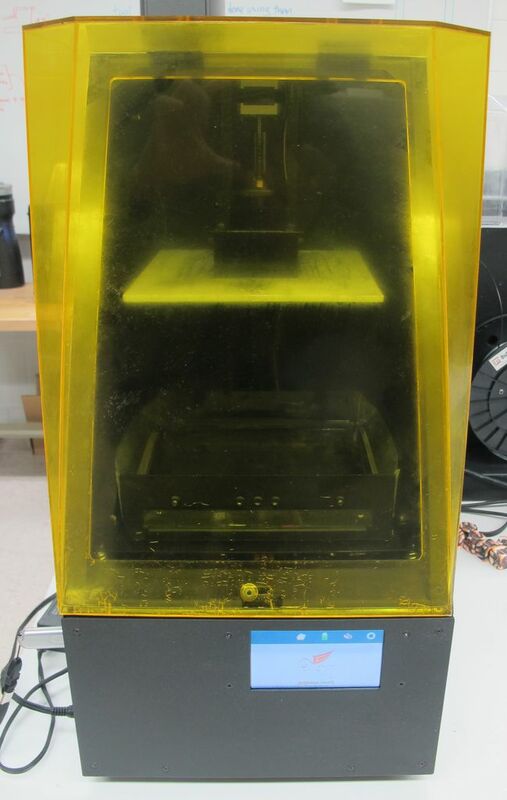 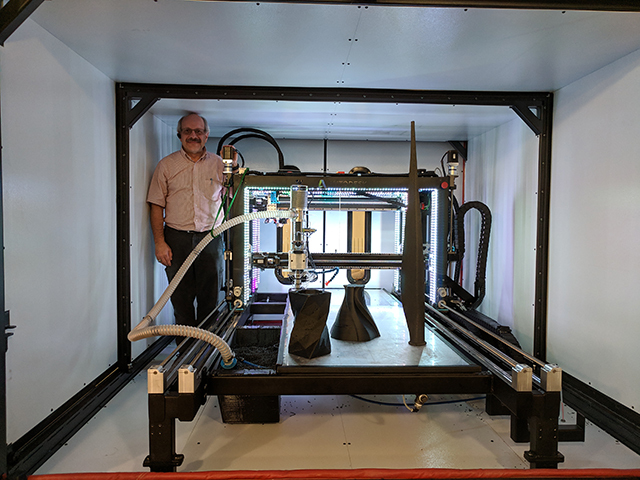 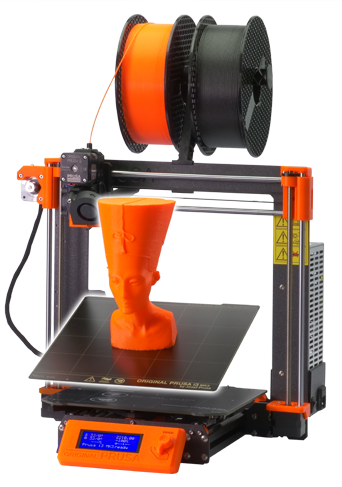 desktop 3D printer that supports up to four different deposition tools, including tools for filament extrusion, conductive ink dispensing for embedded electronics, UV photopolymer dispensing, etc. 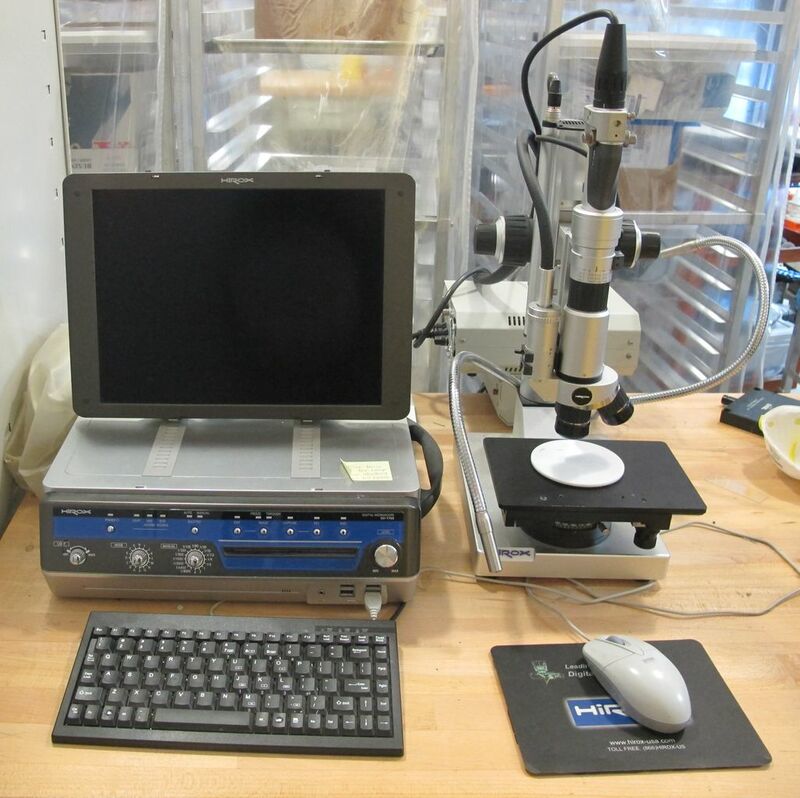 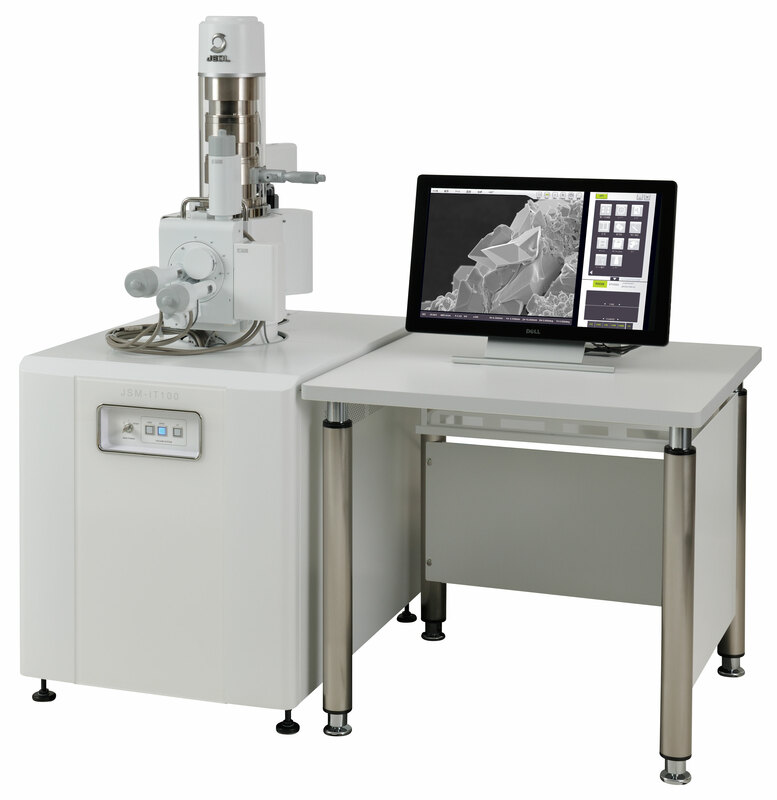 digital microscope with motorized Z-stage. 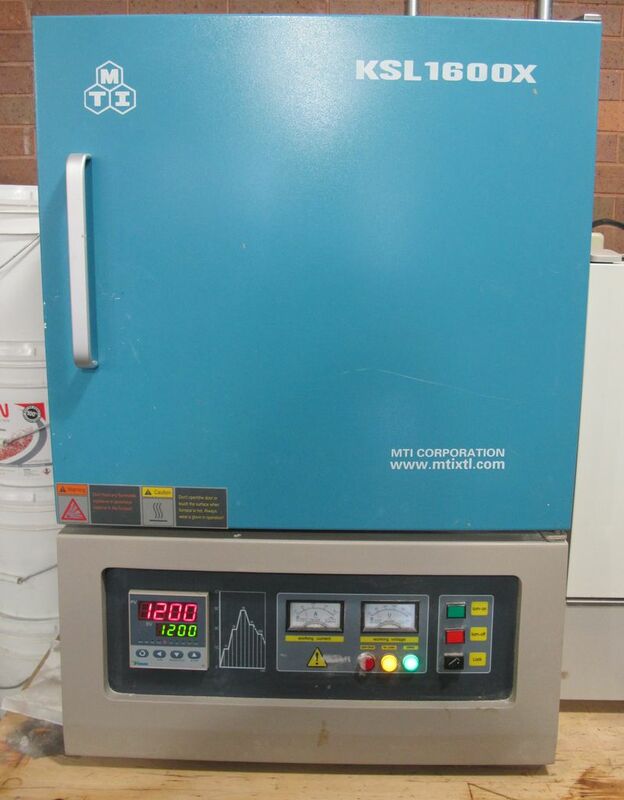 Full range of wet chemistry facilities for nanoparticle synthesis and ink formulation.